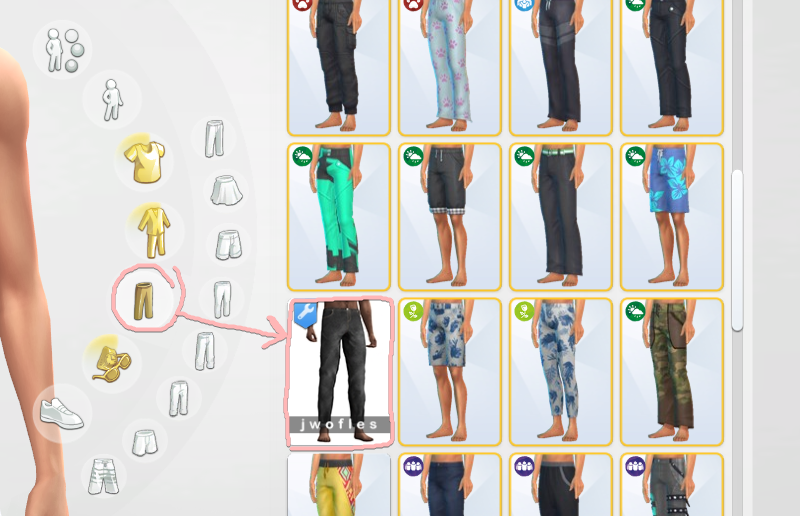 hey, here's some jeans I made for male sims. these took me a while to make, and I hand painted the texture in substance painter, was a pretty long workflow tbh but I'm happy with the result. they come in 5 colours, there's 1 black and 4 blues. these are for male teens, young adults, adults and elder, available in everyday and partywear in the jeans section. beware of minor clipping issues with tight tops (unavoidable), and also for some stupidly-made tops the texture of the jeans might bleed onto the top, I couldn't avoid this due to the way I UV mapped the jeans so if this happens just use a different top, sorry. here's the .psd if you want to do recolours.